Product Sampling Staff for Kinder Bueno promo drive. 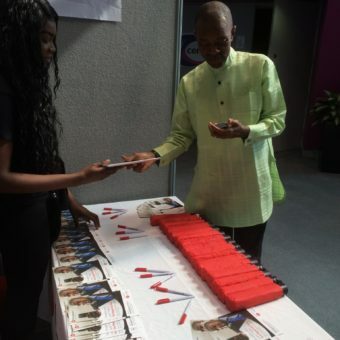 Love Creative Marketing Agency was briefed by Shine Communications to recruit attractive product sampling field marketing staff for a brand awareness campaign for Kinder Bueno to encourage consumers to trial their creamy Kinder Bueno chocolate. A strategic approach was taken whereby an alluring product sampling campaign was activated to reinforce their message ‘Bueno, a little bit of what you fancy’. 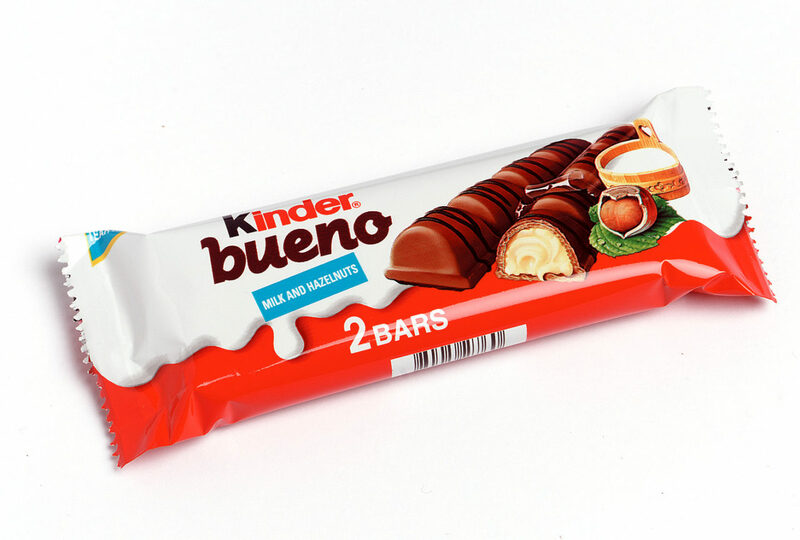 To generate the maximum amount of interest and engagement with Kinder Bueno’s female target audience. The task was to create a new kind of hunk, the ‘Bueno Hunk’. 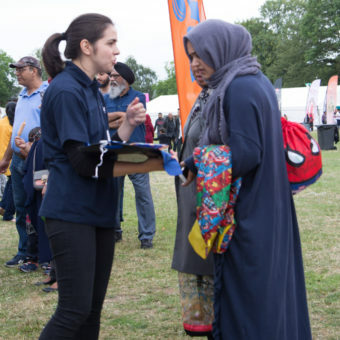 Thirty attractive product sampling staff were sourced and trained and subsequently had Bueno bars strapped to their chests to offer ladies the chance to peel ‘a bit of what you fancy’ straight from their chests. 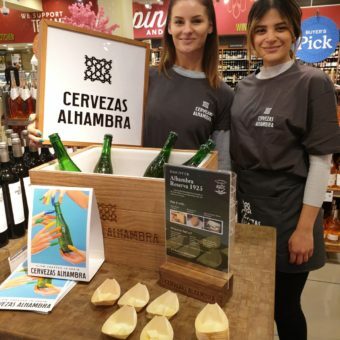 This enticing engagement with the Bueno Hunks was offered to ladies while shopping, creating the perfect complimentary chocolate sample to make any lady’s day ‘a bit of what you fancy’. Throughout the campaign ‘radio drops’ were made, and a number of lucky Media Professionals were treated to a ‘Breakfast with Bueno’. 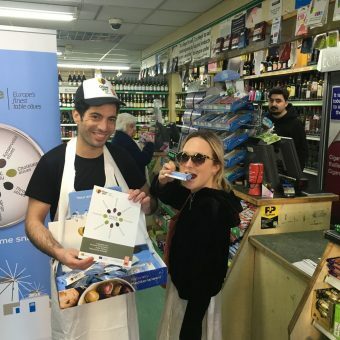 Not only were these product sampling teams armed with the irresistibly delicious Bueno bar samples, but they were a visual representation of the brands risqué personality bringing the brand personality to life. 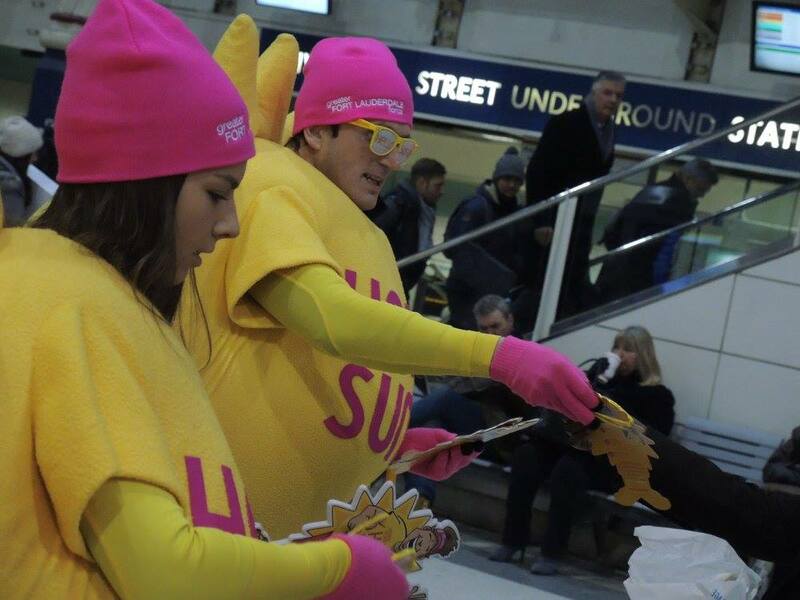 A further buzz further buzz was created by sending the ‘Bueno hunks’ to catwalk outside of Piccadilly station and to strike a pose in front of the Eros statue in London’s busiest location, Piccadilly Circus. 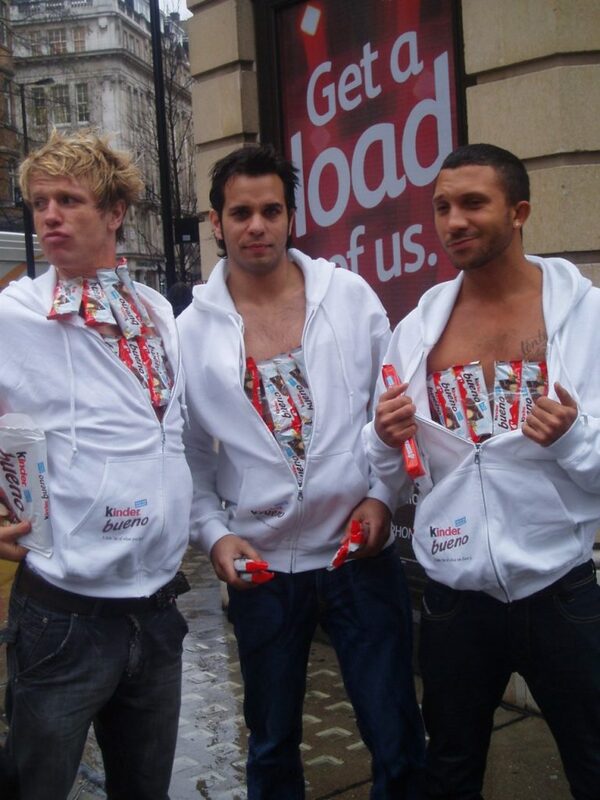 Field Marketing Staff - Product Sampling Teams Kinder Bueno Hunks – A little bit of what you fancy?